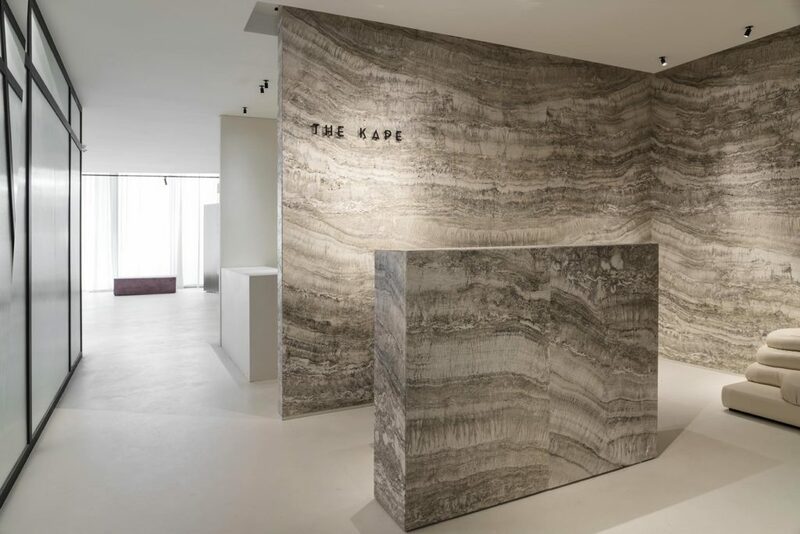 The Kape Showroom located in Dubai Design District, beautifully reflects the brand’s high end offerings. 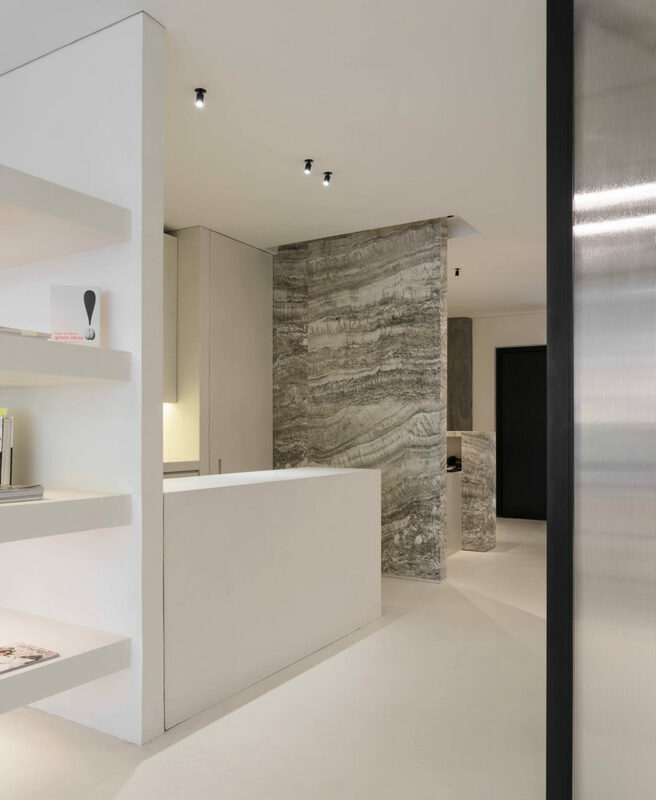 SUPERFUTUREDESIGN* styled the interiors in a modern minimalist theme with standout pieces. 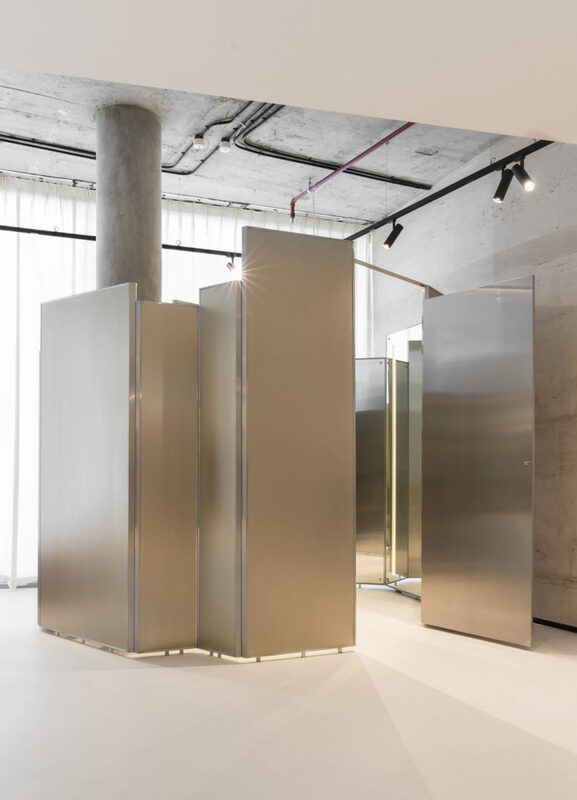 In the ambient spaces, the designer implemented techniques that would result in a relaxing environment. 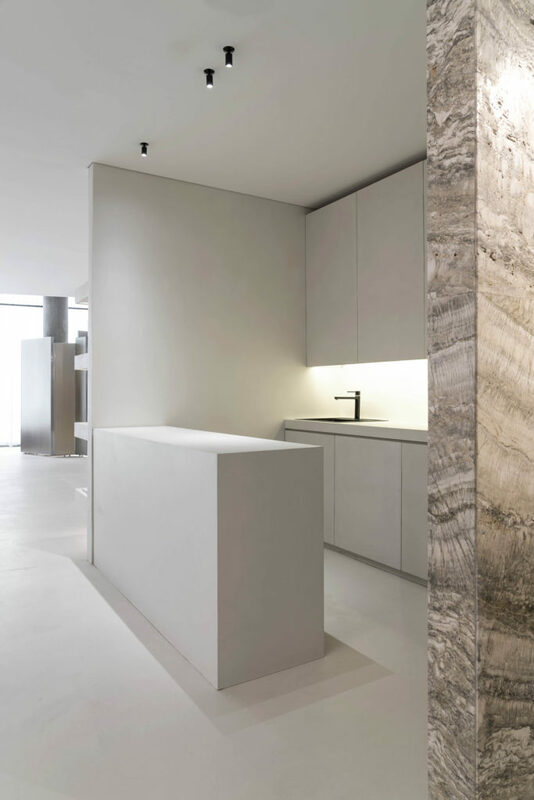 Lighting was given special attention, in order to accentuate the earthiness of travertine stone and and futuristic quality of the epoxy resin. 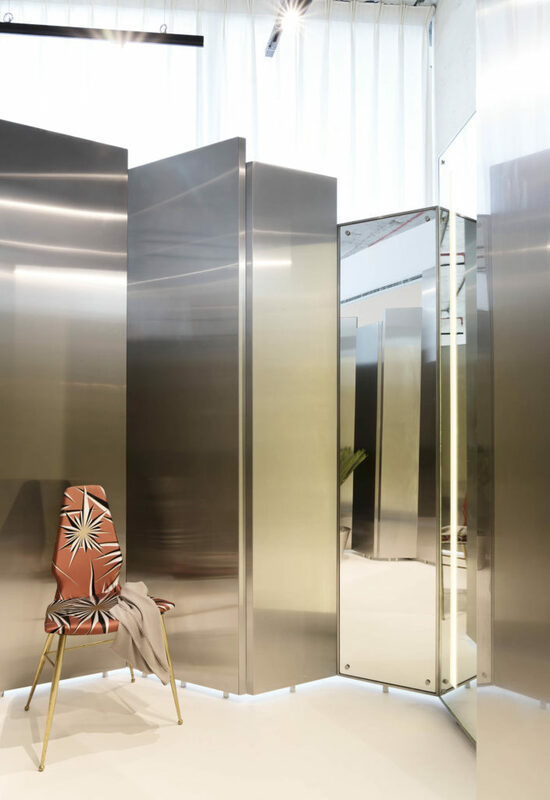 The fitting rooms add a touch of whimsy to the overall minimal aesthetic, created using metallic screens with a champagne-tinted finish. 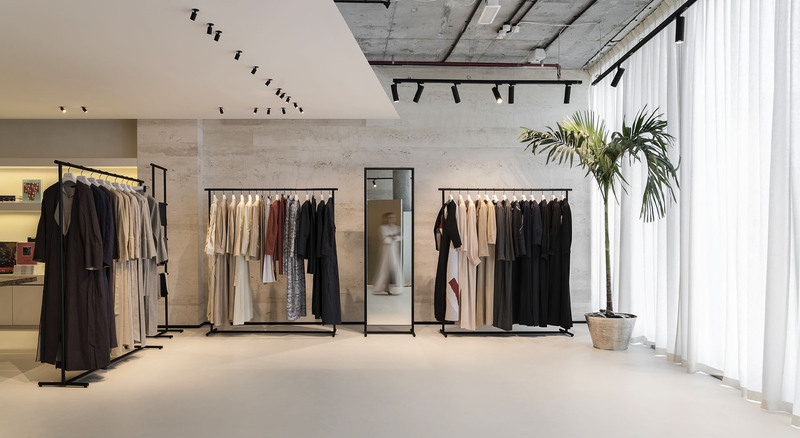 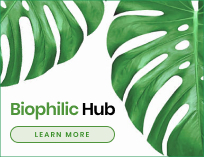 Simplicity defines the ambience and mood of the entire showroom, and contrast is added via rough patterns and texture on the exterior and a smoother finish for the floors. 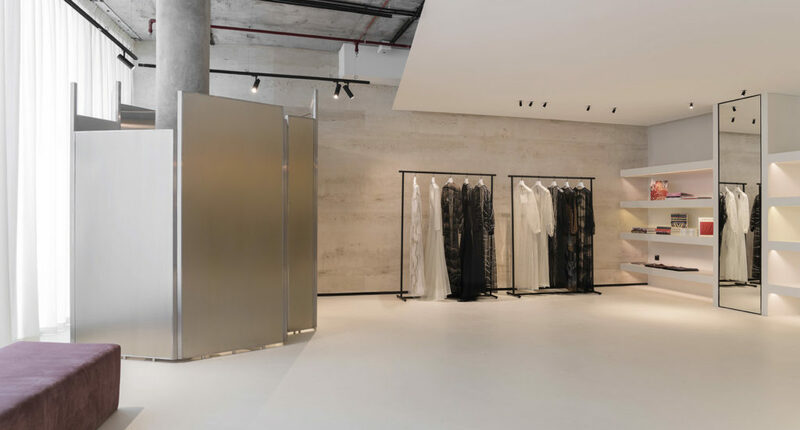 The silver and white travertine marble lends a dewy soft appearance to the otherwise contemporary design with its ribbed partitions and black matte frames.